How Will a New Swimming Pool Affect Homeowner’s Insurance? 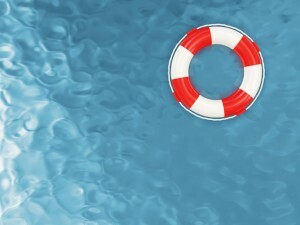 Think of your homeowner’s insurance as a life preserver when you get a new swimming pool. With summer (and swimming season) rapidly approaching, new swimming pools are popping up all over central Maryland. You may already be convinced that your backyard should be one of those pop-up places, or you may still be in the “oooh gosh I really want one but I still have a few concerns” phase. Either way, one concern that many prospective pool owners generally have is: How will a new swimming pool affect homeowner’s insurance for me and my family? Luckily, your swimming pool experts at Paradise Pools have a few answers for you. Generally speaking, any time you add value or risk to your property, your homeowner’s insurance will need an associated boost. When it comes to a new swimming pool, you’re adding both value and risk. The value of a backyard paradise is self-explanatory, while the risk pertains to injury liability if people get hurt in or around the pool, or property damage if something goes awry in your paradise. An umbrella policy will help envelop both added value and risk. Remember that landscaping and other outdoor living features like patios and even patio furniture or pool equipment also add to your property and belongings value. Whether it’s your state, your city, your town, your HOA, or your homeowner’s insurance provider, there may be requirements in place regarding necessary safety measures for a new swimming pool. This usually means something along the lines of a fence of predetermined height with a locked gate, but can extend further. Check with each tier of governing bodies surrounding your home before moving forward with your project. If you’re installing a new pool in Maryland, Paradise Pools can bring some of these answers. The easiest way to find the most accurate information as to how a new swimming pool will affect your homeowner’s insurance is to contact your provider and ask directly of the source. Each policy will be different, with different stipulations for liability, coverage, and limits. Consulting with your insurance company, who understand your property and zoning laws, will give you the most case-specific help. Your backyard paradise should be a relaxing getaway, not a frightening risk. Knowing how a swimming pool affects homeowner’s insurance will help you lay back and enjoy. With over 30 years of experience under our belts, Paradise Pools is committed to turning your dreams into reality as we build your backyard paradise. We aren’t any ordinary pool contractor. From pool construction and renovation to creating a full-blown outdoor living space, we have plenty to offer any style and any budget. Serving central Maryland, including Anne Arundel, Baltimore, Howard, and Montgomery Counties, we hope to bring a little piece of paradise to your home. We have the expertise needed to create beautiful and long-lasting outdoor living features that will enhance your landscape and add to your property value. If you’re ready to get started, shoot us an email from our Contact Us page, or give us a call at (301) 725-0005. While you’re here, don’t forget to follow us on Facebook, Twitter,Google+, and Pinterest to stay up-to-date on our blog, goings on within the company, and other cool and important information! This entry was posted on Thursday, May 12th, 2016 at 12:05 pm. Both comments and pings are currently closed.